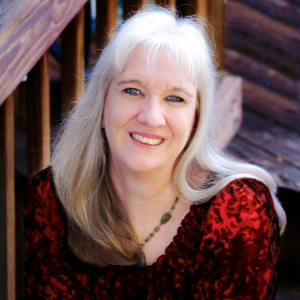 As a former homeschool mom, I have a special place in my heart for homeschoolers, especially those in the film industry. 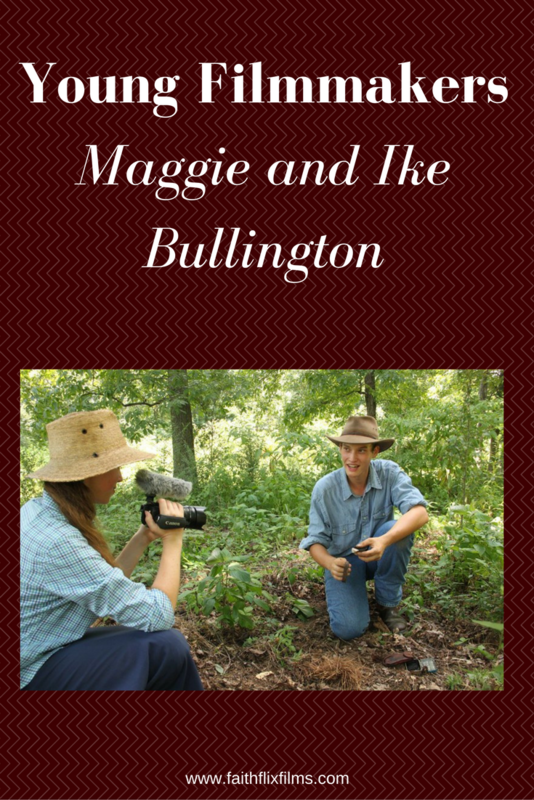 When I received a delightfully sweet email from Maggie Bullington introducing her and her brother Ike and telling me about their info-tainment video about making fire, I was intrigued. We are Ike and Maggie: brother and sister, graduates of the same home school, enjoyers of animals and the outdoors, and, most importantly, blessed to be children of God. It was always exciting when our mom used our granddad’s VHS recorder to make home videos and we were fascinated by the bulky camera, almost always asking if we could watch the film that night. When we were gifted with our first real-live digital video cameras, two tiny RCA Small Wonder models, they were put to a lot of use making small skits. Have you worked on other video projects or is this your first time to do anything like this? We have both enjoyed being actors and crew for several small film projects with childhood friends: great classics such as Quest for the Golden Pinecone and The Legend of Lost Gold (which won in a local film festival, thanks to our friend’s efforts), and even a drama about the royal Romanov family. These short projects taught us a lot, but this is our first serious solo project that we’ve brought to DVD. What led to your desire to make a video about fire making? Ike: First of all, it is a very important life-skill for people to know. 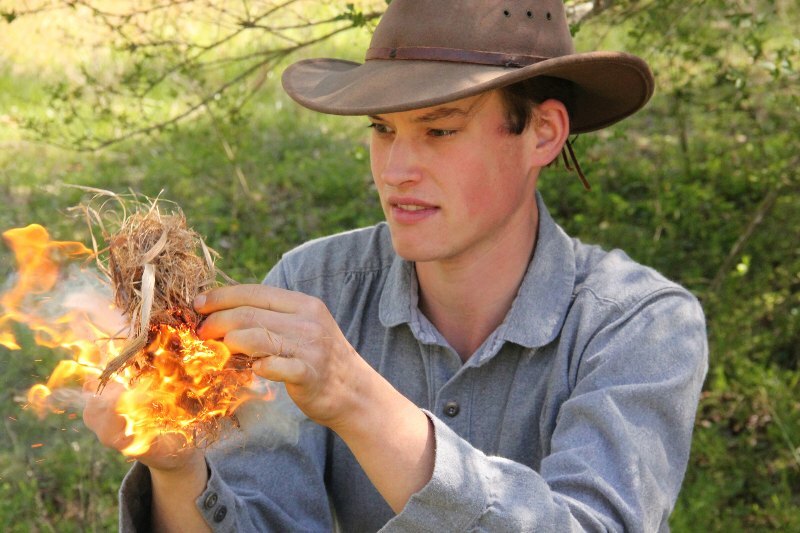 Second, I have enjoyed learning and experimenting with the many different methods of fire making ever since I was quite young. But a lot of the outlets that are available to learn these skills tend to be tainted by the influences of evolution, questionable language, and rough lifestyle. This led me to want to teach others….especially young boys like I was…in a wholesome environment so that they could be prepared and learn to enjoy God’s creation. What was the greatest challenge with making the video? Maggie: Besides “getting what we wanted to say said,” I think the greatest challenges lay in the rogue helicopters, airplanes, and loud trucks that appeared at the most inopportune times. Also, just the huge learning curve of post-production! We’re thankful for His help in navigating that one. Who could benefit from Experience Making Fire With Ike? While it was especially made with active boys in mind, we believe everyone would benefit. 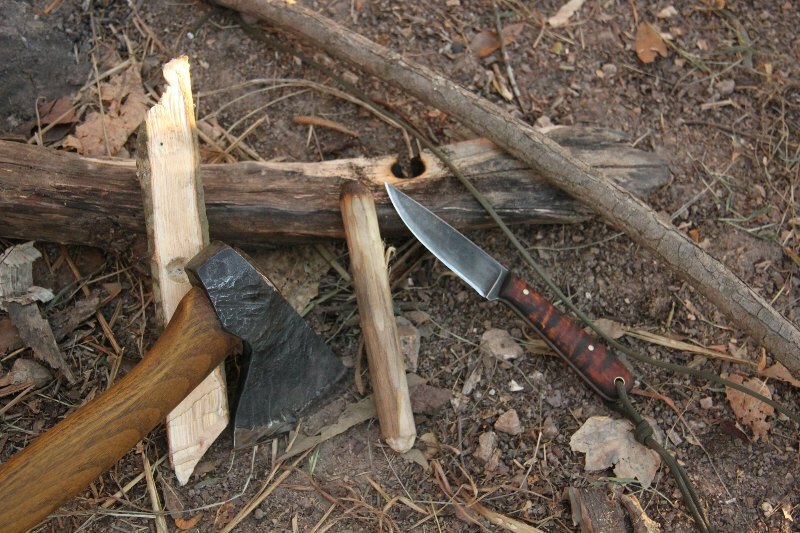 Modern fire-starting methods are covered, as well as the more challenging traditional techniques. These skills were what keep the generations of the past warm and fed, and yet they are becoming lost today. If you want to learn, rest assured, there is something here for every skill level. It’s like spending 65+ minutes with a friend/mentor in the woods. This video would be also serve ideally as a valuable life-skills course for the home school family. We even have a small study sheet available for free on our website for the benefit of home schoolers who wish to use the video this way! How can people watch or purchase the video? On DVD through our website, www.experiencewithike.com. We appreciate your support! Is this the first in a series of info-tainment videos? If so, what other subjects will you be tackling? 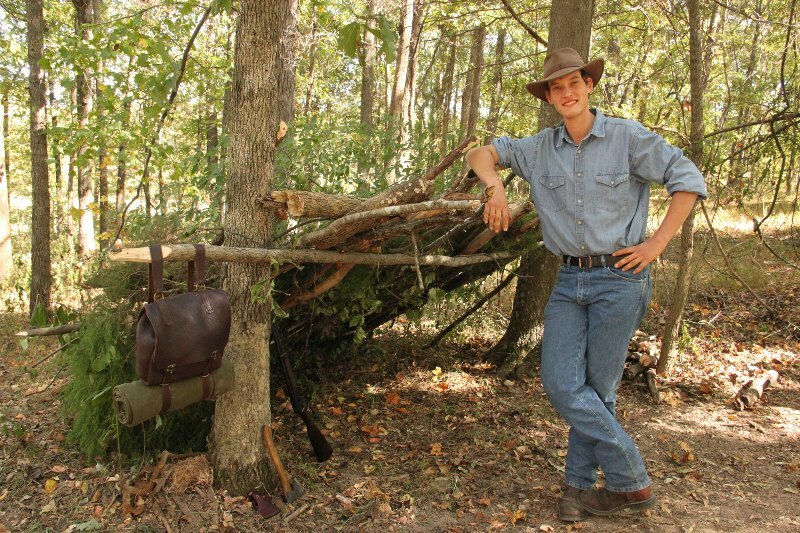 Yes, we are hopeful that Making Fire is just the beginning of a series of entertaining, instructional videos about a whole spectrum of outdoor, bushcraft related topics. We are hoping to be jumping into the production of another one (or two?) this fall/winter. As to what they will be about, I guess we’ll have to keep you in suspense! We’d love to have you follow the journey on our website to watch for new titles in the collection!